The lake level is down but both boat ramps are still open for a couple more weeks. 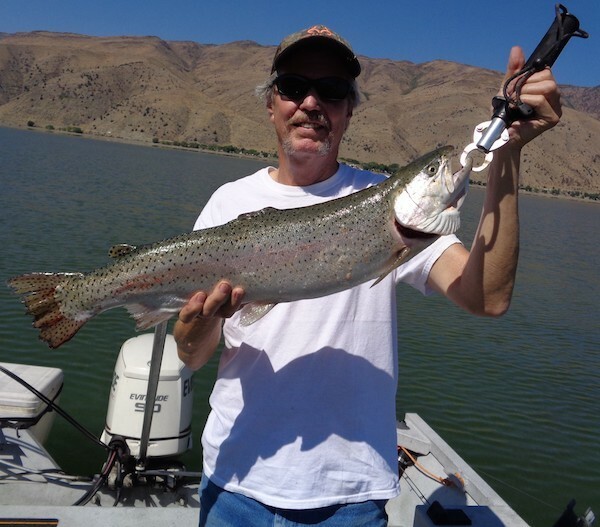 Last week Darrel Swaine from Los Angeles caught a 4 lb rainbow off the shore with Powerbait. Trollers have done very good with Rapalas or flashers and a worm. The CDFW planted the lake last week with catchable rainbow trout. This will trigger the browns and the mackinaws to start feeding. The resort will be open until the second week of October (weather pending). For more information stop by the Caples Lake Resort.